Last fall, we introduced you to the Knights Landing One Health Clinic run by UC Davis Students for One Health, which offers free preventative and clinical care for pets and their owners at two different sites in a community close to our campus. The clinic’s efforts were recently featured on the website of the One Health Alliance, a program of the National Institutes of Health. Here are six reasons why the clinic is receiving national attention. 1. A One Health clinic works for the community. The clinic began because “the community reached out to the med school… then reached out to request veterinary services,” as a veterinary student at the clinic explains. The students responded to those unique needs. 2. A One Health clinic broadens professional perspective. Who says you can’t have it all in career development? A day at the clinic is about “bringing in the animals, bringing in the patients, thinking about how the environment impacts all of that,” according to a medical student. 3. A One Health clinic joins forces for education. Students recognize the clinic as a “great opportunity to learn from one another.” Instead of being in separate human or animal “silos” in school, at the clinic students share and build knowledge as peers. 4. A One Health clinic boosts cultural competency. 5. A One Health clinic serves as a role model. 6. 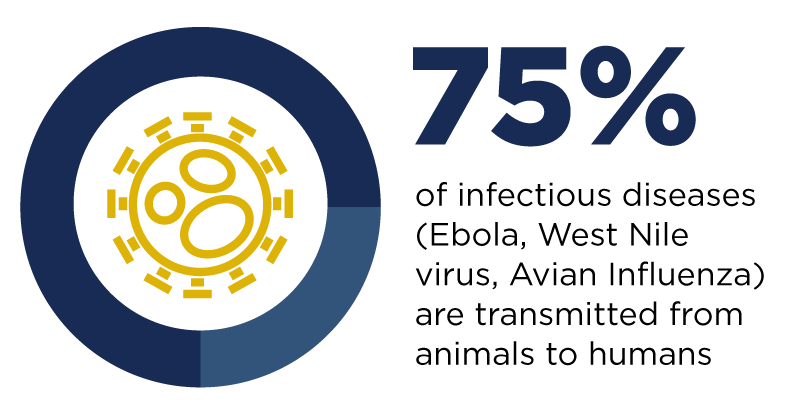 A One Health clinic has a lasting effect.